All love should be celebrated and supported. I am SO thrilled you found each other, and can't wait to hear more about your wedding plans. Whether you are planning a huge, elaborate event- or escaping to City Hall- I love to capture it. I have photographed hundreds of weddings across the globe- and I know that what matters most to my clients is the pure documentation of their love and chemistry. From the way he looks at you as you're walking down the aisle, to the slow sway of the last dance as you hold each other tight, your wedding story is my inspiration. So keep scrolling and let me walk you through my process, products, and a bit about who I am - because choosing your photographer is so important- I will be with you on the most important day of your life and that is such an honor. Together we can pick a location that is meaningful to you- or even explore a new one!  ALL of our wedding packages include your engagement session to help us all get to know each other better, and get you both more comfortable in front of the camera before your wedding day! Travel may be additional depending on location chosen. After your engagement session proofing is ready, I will start designing your custom wedding website featuring your session with us. 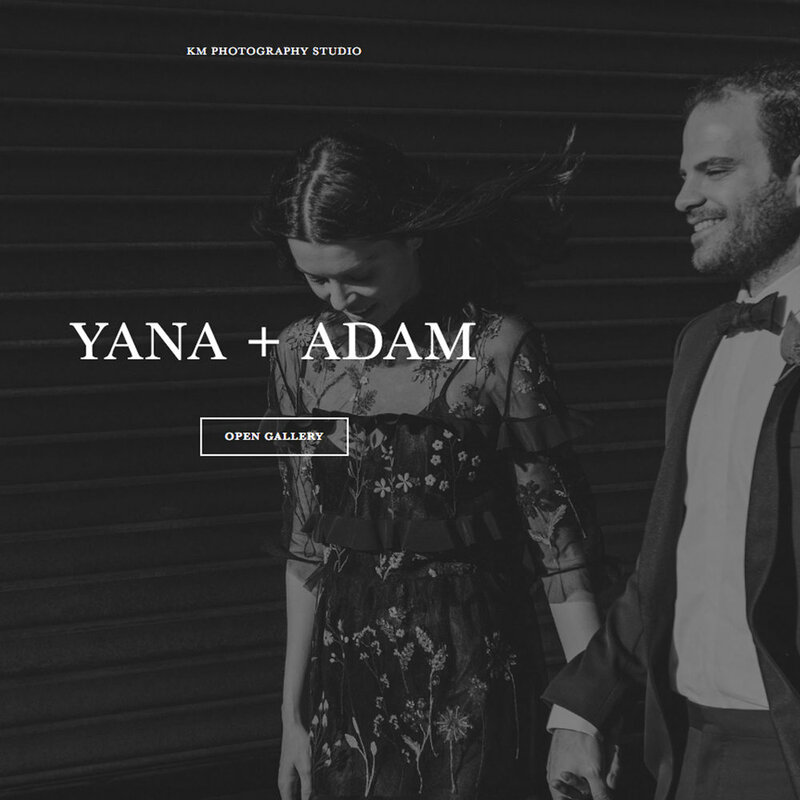 We love working with each individual couples style and look to create a completely unique web experience to share with friends, family, and wedding guests. It will also feature links to your image galleries for easy ordering and social media sharing! Our stunning web designs work in tandem with your Save the Dates and Invites to create a custom suite for your guests to enjoy- full of wedding day information, stories about your relationship, and more. In partnership with Shootproof, I strive to create the most simple and beautiful client proofing experience. I am always here to help if you have any questions about the ordering process. Your online gallery can be used to order prints, download digital files, and share with family and friends on social media. I offer the best products in the industry to our clients, made in the USA and eco-friendly. From custom heirloom boxes to amazing wall art and folios, we offer everything for the modern couple who loves classic and timeless style that will last for generations. My custom albums are second to none. An heirloom album is truly the most incredible way to tell the story of your favorite day. I make the process easy- from the cover choices and parent albums, to the finishes and final layout. You pick your favorite images, and I will handle the rest! I'm am not just your photographer- I am your friend, your confidant, your therapy, your calm voice on the most whirlwind day of your lives, and your hairstylist in a pinch. You'll say you hate posed photos and then give me a three page list of them - I'll smile to myself and then say "no problem!" I see it all, the good the bad and sometimes even the darkest moments and your deepest insecurities, but you know I'll make you look amazing and it will all be ok. When your bridesmaid makes your makeup person redo hers and holds up your wedding by 45min- I help you take deep breaths, grab you champagne, and adjust your timeline behind the scenes without blinking an eye. But most of all I see the beauty and the infinite love between humans - and document it. That is what I do. I know when someone is about to burst into laughter. I know when someone is about to cry. I feel the life of the party from across the room and hustle to join them - snapping the images that will make you snort laugh 10 years later. I feel the pull of your best friends love for her boyfriend as they sway on the dance floor to Ella Fitzgerald- she grabs his face and holds it for a second- just a second. I capture it because I know you'll tear up and give it to them as a gift around the holidays. They will tear up. When they get married, we will all see each other again and embrace - because of this- our connection. It's not just photography, it's a true connection. This is my life, and it has been for over 20 years. I can't imagine another life for myself- your happiness is my happiness. I'm just so honored to be a part of it all. I live in NY and am the happiest wife to George Weiss III, who keeps Polaroid film alive and well (and all over the planet) full time. We welcomed our first miracle child in February 2018- a baby girl named Charlie after our amazing mother, Charlotte. After we were told by multiple doctors after many years of trying that kids were not going to be in our future, we found out at my pre- hysterectomy appointment that we were 6 weeks PREGNANT. The joy and amazingness that is our daughter cannot be described in words here. She is a true miracle. Your wedding photography is the most important investment decision you will be making in the weeks ahead. It is the PURE documentation of your story and the memories that will be gazed upon by generation after generation. Whether you are having an intimate city wedding or an elaborate family gathering- we are here to guide you through the process and create stunning heirloom art that will take your breath away. Please contact us ASAP if your event is a destination wedding less than one year away. I generally book 1-2 years ahead to allow enough travel time and space between weddings. We will be in touch ASAP and let you know if we are available! If we are, we will send you our information magazine PDF and schedule a consultation. We do Skype, phone, and in-person wedding package consultations- just let us know what works for your busy schedules! After your consultation with us, we will email you with custom package design options based exactly on your needs- coverage, albums, digital rights- we offer it all. We offer the best products in the industry to our clients, made in the USA and eco-friendly. Once you both decide on the perfect package, just let us know, and we will email your contract and invoice. We require a 50% retainer to hold your date, and the remaining 50% balance will not be due until 30 days before your wedding date. We are here to guide you throughout the entire process. Please don't hesitate to email or call us anytime with any questions! My new client base is built mainly on referrals from our existing clients, as we take on a limited amount of weddings per year. It is the greatest honor to be referred by a past bride, groom, or parent after they have experienced what I do. 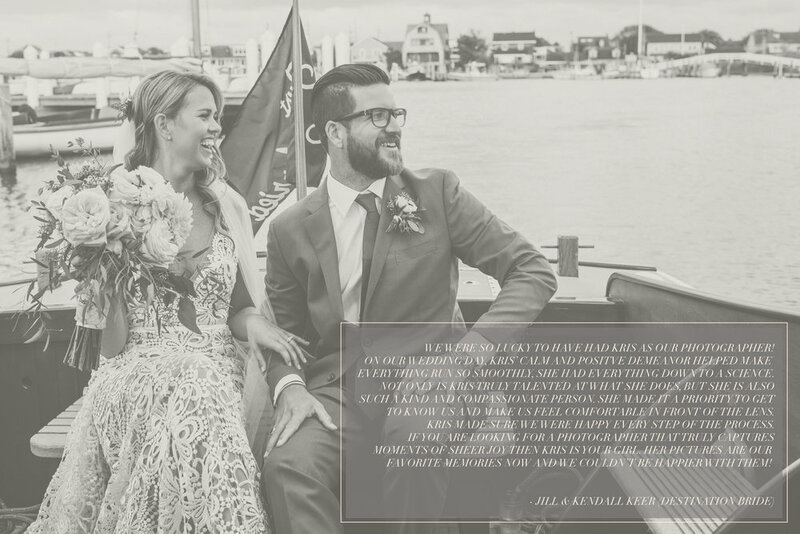 If you found us online, and you want to hear more, I can put you in touch with one of our wedding clients so you can hear more about their experience. I also send my potential clients full real wedding proofing galleries to really get a feel for my process and the way each wedding day story is captured in images. It is incredibly important that your wedding photographer is a perfect match for your personality, style, and family dynamic. You need someone experienced with the nuances and challenges of wedding photography, and who is your advocate with your vendors and family- ensuring your day is as seamless as possible.